From Thursday, April 6 through Sunday, April 9, 2017 French Quarter Festival will celebrate the culture, food, history, and people of New Orleans’ oldest neighborhood. With more than 1,700 local Louisiana musicians on 23 different stages throughout the French Quarter and Woldenberg Park, French Quarter Fest is definitely a place for incredible free music. 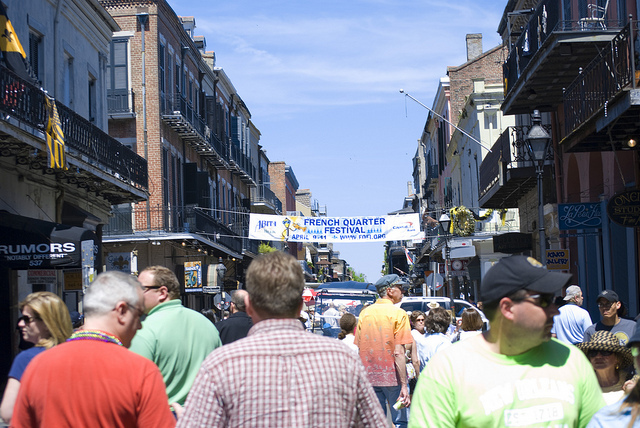 While French Quarter Fest began in 1984 as a way to bring locals back to the French Quarter, it has since expanded into an internationally recognized event that draws hundreds of thousands of people to the historic neighborhood each year. Wherever there’s a festival in New Orleans, there’s food, and French Quarter Festival offers a bountiful assortment of Louisiana delicacies. 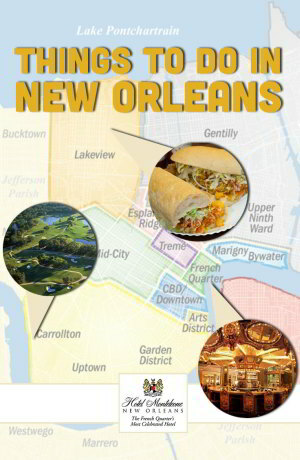 Sample traditional New Orleans cuisine like cochon de lait po-boys, barbecue shrimp, and crawfish as you walk through Jackson Square, Royal Street, Bourbon Street, and back down to the riverfront. Classic French Quarter Fest favorites include the Crawfish Louise & Turtle Soup combo from Court of Two Sisters and the Crawfish & Goat Cheese Crepes from Muriel’s, which both have food booths in Jackson Square. Head to the Old U.S. Mint to sample a few of the newest food vendors, including The Big Cheezy, serving up The Crawgator (Alligator Crawfish Sausage with Cheddar, Pepper Jack & Green Peppers), and The Blue Crab, offering BBQ Shrimp Stuffed Po-Boys and Crab Cakes. If you can’t make it back in time for Jazz Fest, luckily French Quarter Festival has you covered. WWOZ’s famous Mango Freeze is available in the Riverfront – Canal Street vendor area.  (Bonus: it’s gluten free!) Nearby, at the Aquarium Plaza area, Kingfish Kitchen & Cocktails will be serving up BBQ Shrimp and Grits with Piquant Chili Butter and Cochon Sliders. Click here for a full menu of the food options available at this year’s French Quarter Festival. We’ve already mentioned the food, but French Quarter Fest also has plenty of beverages available for purchase, including Abita beer, wine, cocktails, and daiquiris. Purchases from the official festival beverage booths help keep the annual event free and open to the public, plus each beverage stand has a tip jar, proceeds of which are given directly to the musicians. Come for the free live music and food but stay for the special events! French Quarter Festival kicks off on Thursday, April 6 with a second-line parade at 10am. If you’ve never experienced a second-line, this is a bucket list opportunity! 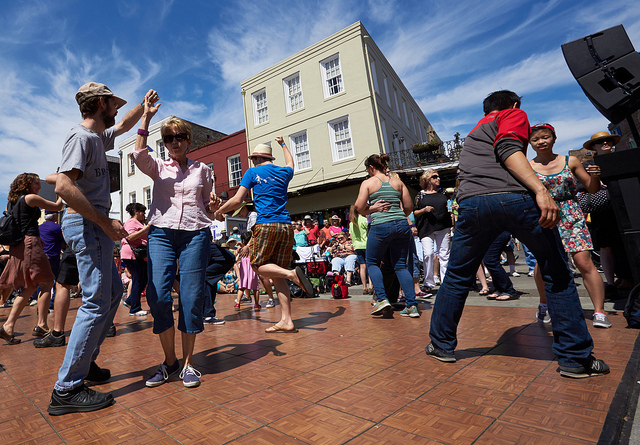 French Quarter Festival and NOLA Jitterbugs host free dance lessons, which are always a favorite activity among locals and tourists alike. 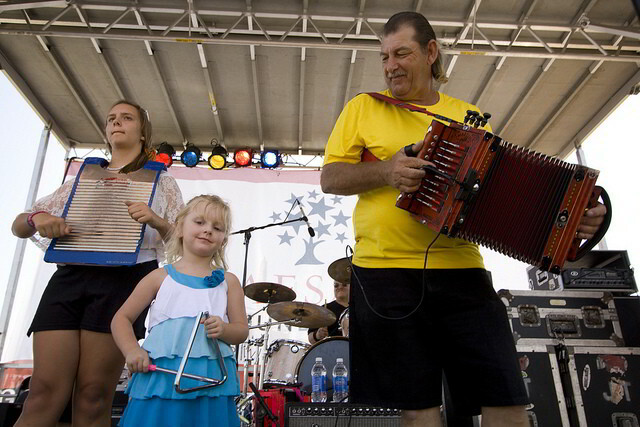 The French Market Traditional Jazz Stage and the Chevron Cajun-Zydeco Showcase will offer classes taught by professional dancers from NOLA Jitterbugs and Dance Quarter. Learn how to boogie down and master the basics of Traditional Jazz, 1920s Charleston, Swing Dance, Cajun Jitterbug, and Zydeco dancing. All classes are free and open to the public. 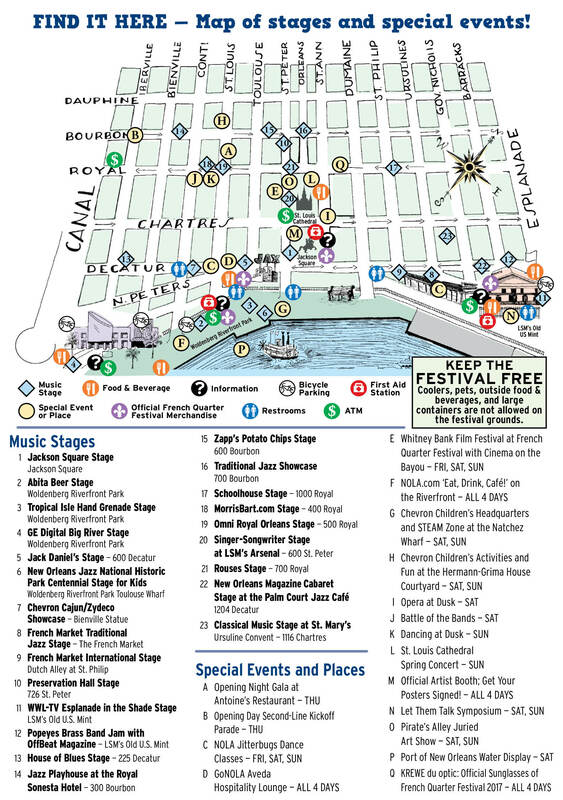 With our location in the heart of the Vieux Carré, getting to French Quarter Festival is easy – simply walk! The festival is known for gridlocked traffic, but when you stay at Hotel Monteleone, you’ll get there quickly and easily on foot. To get to Jackson Square, exit our hotel by making a left onto Iberville Street, then turn left on the next street, Chartres Street. 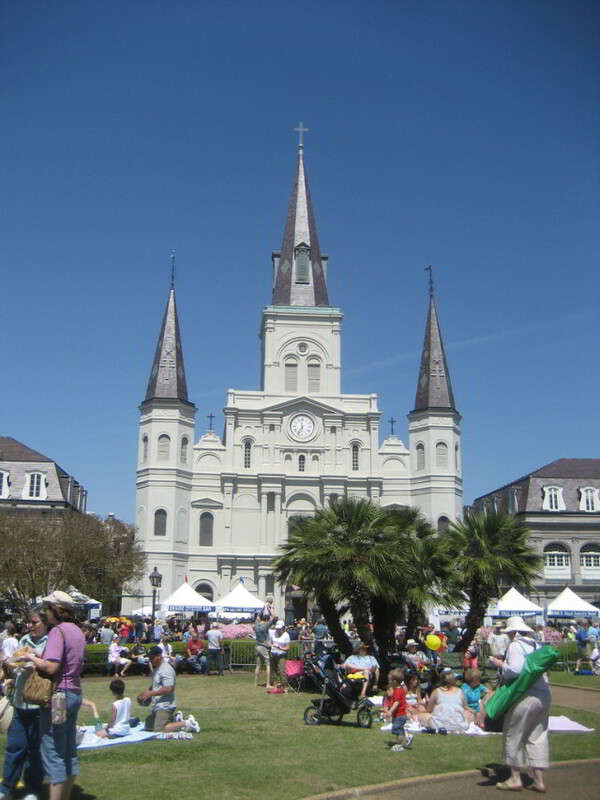 Follow along Chartres Street until you see Jackson Square! When you’re ready for a quiet respite from all of the festival crowds, head back for a nightcap at the Carousel Bar & Lounge. Our live entertainment and handcrafted cocktails offer the perfect way to end your day.